Join or Renew "ONLINE" Today! Memberships now go from July 1st to June 30th and are renewable each year. If you are already a member you can renew here or conveniently renew in the Members only area! If you would like to join the Clan MacLachlan Society, Western USA Branch we are more than happy to receive your application. Many of our members join at various Highland or Celtic games throughout the Western United States where our clan participates. 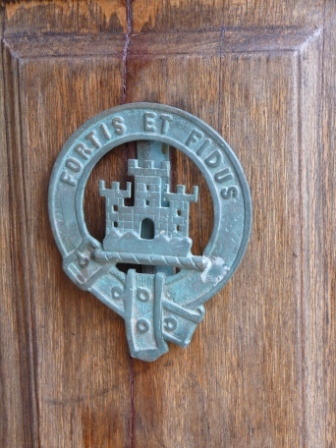 Open the Castle Door to your Membership Today! Information/Hospitality Tents whenever possible at Highland Games and other Scottish gatherings in California, Oregon, Washington, Nevada, Arizona, Colorado, Utah, Montana, Idaho, Wyoming, and New Mexico. Receive "The White Cockade", our Branch newsletter twice per year. It is full of articles﻿ submitted by our members, including summaries of outings attended, a listing of the games and gatherings where Clan MacLachlan will be represented, members' family news and how-to tips from our Genealogy Resource Specialist﻿. Our members receive personal copies of the internationally acclaimed "Clan Lachlan" magazine published semi-annually by the parent society. Scholarships are awarded annually for studies in Scottish/Celtic art (dancing, piping, athletics, etc. ), language and literature. Social functions are a vital part of our existence such as Robert Burns dinners where you often may find a group of us in the finest Scottish tradition. Membership in our branch includes membership in the international Clan MacLachlan Society (with NO additional dues required). Members with internet access receive a monthly email article on Scottish history, culture, people, places and things entitled, "Bagpipe, Kilt and Caber".